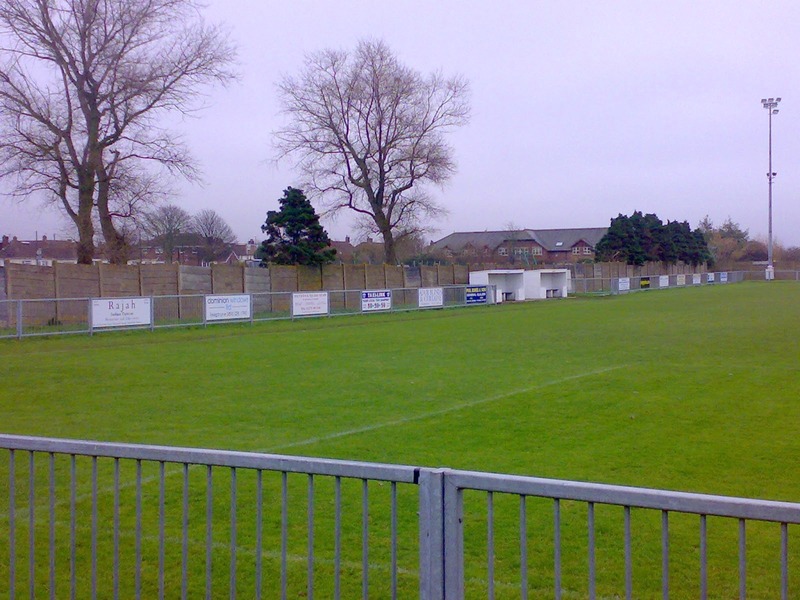 Shoreham FC is a non-league football club from the West Sussex port and seaside resort of Shoreham-by-Sea, who were formed in 1892. After several years of local football 'The Musselmen' became founder members of the Sussex County League in 1920. The club left that league in 1927 for a five year period and in 1951-52 were crowned as champions. They went on to retain the title in the following season. The club were relegated to Division Two in 1960-61, but regained their top flight status at the first attempt. Shoreham went down once more but were promoted in 1972-73. However, their Division One stay lasted just twelve months. The Division Two title was lifted in 1976-77; returning to lift their third Sussex League championship in the 1977-78 season. The men of Middle Road were relegated once more in 1981-82, from which they recovered and went back up with another Division Two championship win in 1984-85. The 1991-92 season saw the next demotion, but Shoreham rebuilt and went back up two years later with yet another Division Two title. 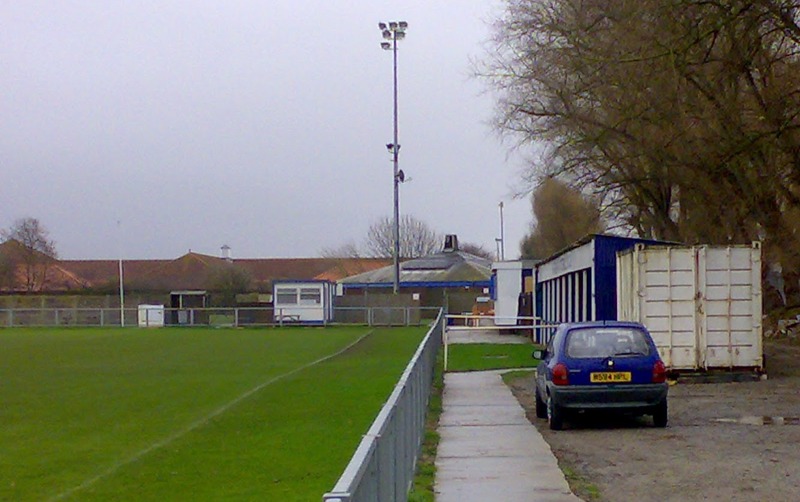 The final season of the old century saw another disappointing relegation, but once more Shoreham regained their Division One slot at the culmination of the 2001-02 campaign. The 2003-04 season saw the Musselmen drop down to Division Two once again. Joint managers Fred Proto and Jason Rutherford took the club straight back to Division One in 2004-05; their debut season at the helm. From there the team consolidated and remained in the top flight of the Sussex County League. In 2013 Stuart Slaney became the new owner of the club, as he looked to expand the junior set up at Middle Road. He was joined by Ralph Prodger in 2015 who became joint owner and chairman of the club. 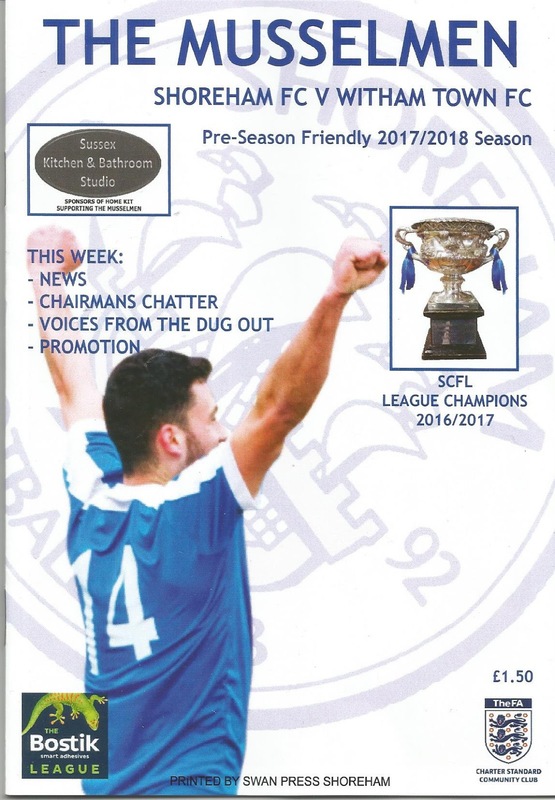 The Sussex County League became the Southern Combination Football League, where Shoreham were placed in the Premier Division for the 2015-16 season as the team narrowly avoided relegation. However the 2016-17 campaign was to be a very different story. Shoreham led the table for much of the season, but were overtaken by Haywards Heath Town. Manager Brian O'Toole departed at the end of the season; before the story took a dramatic turn. New boss Sammy Donnelly had been installed before rivals Haywards Heath were deducted nine points for fielding an ineligible player to hand Shoreham the title and secure promotion to the Isthmian League. Shoreham FC will play in the Isthmian League Division One South in the 2017-18 season. 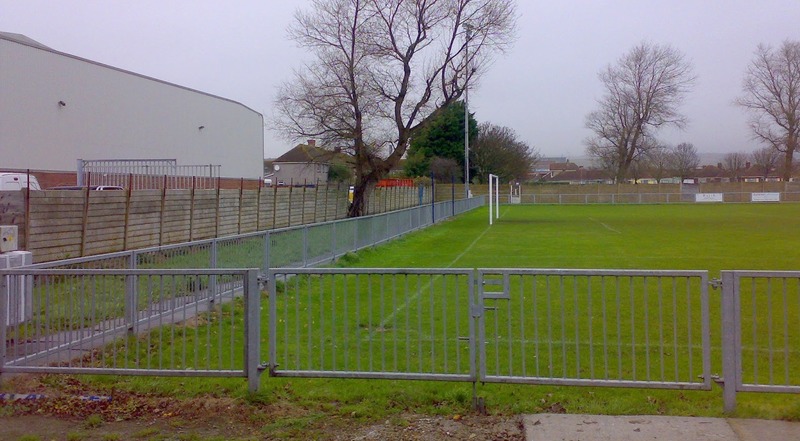 I had decided to use a day off work by heading down to Brighton and discovering some football grounds in West Sussex. After a arduous coach journey and a train ride calling in at Southwick FC I alighted at Shoreham station. As usual on these jaunts I had planned ahead and copied some maps as well as general directions. I walked up Buckingham Road before turning right into Middle Road, where the club were listed to play. It was a lot further along than I'd imagined, but thankfully I came to an open field with the clubs' ground at the other side of it. However, there was no path across to the entrance. I did find a path past the far goal but I couldn't get a view of the enclosed arena. It came out on Dolphin Road, which served an industrial estate on both sides. I had hoped to see the sea and some evidence of a seaside resort, but I was left disappointed. The gloomy weather didn't help matters either. I later discovered that the River Adur and another stretch of land stood between me and the coast. I was starting to think I'd never find my way to the ground. I took a chance and walked up Dolphin Way with light industry on either side of it. At the top was the entrance to the ground. I would have thought some kind of signage would have been helpful? The Middle Road ground was a neat enough venue with a small cover at the centre of the far end. The near touchline had a Main Stand with blue bucket seating and multiple pillars which I would imagine spoil a lot of viewing, although the dug outs had sensibly been placed opposite. The clubhouse was further along from it along with the changing rooms in the corner. The rest of the ground had hard standing all around the pitch and then flat open grass. I left after getting some images and continued along the road that bordered the railway in a relaxed mode as I'd missed my intended train. However, thanks to a decent service I was soon heading to my next destination; Lancing FC. It was my turn for night shifts at work so I had scanned the excellent Tony’s Non-League Forum on this page for a pre season friendly somewhere where I’d never seen a game, not too far away and in a pleasant location. Shoreham came up trumps, especially after the advanced rail tickets would only come to £10 return. I was in good form, despite doing some extra hours at work and was ready to go after a nap on Saturday morning. The trains ran to time; first from Victoria to Brighton and then for the short ride along the coast as I listened to Test Match Special from The Oval. Life was good as I headed down towards the River Adur for a couple of pub ticks. On my previous visit I’d only walked from the station to the football ground past some unremarkable housing and a soulless industrial estate, so Shoreham hadn’t registered too highly with me. I knew that there had to be more to it than that. Sure enough I walked through some very pleasant narrow streets around the majestic St Mary de Haura Church. There seemed to be a slightly continental feel to the area, with lots of seating outside various establishments. The Old Star Ale & Cider House had been recommended by my Kingsbury pal Steve Barnes. It had been set up by Richard, one of the original founders of the Dark Star Brewery who produced Hophead; one of my favourite ales. The small pub sold all drinks straight from the barrel. Everyone seemed to be enjoying themselves and the welcome was warm. I sampled halves of Pale Ale from the Gun Brewery and West Pier Pale from the Brighton Bier Brewery. Both were in top form. I continued to the Duke of Wellington. Once again Barnsey had come up trumps. The excellent boozer had live music at night, a bar billiard table and an excellent selection of real ale at a fair price. It also had a price list on display with ales costing old money. The quote on the wall from the landlord who introduced the ales back in 2006 struck a chord with me. “If you’ve heard of it, you won’t find it here”. If only more pubs had that attitude to their beers instead of going safe. I could scream at the amount of Doombar that was flooding the market. Being sensible and on nights I had halves of Bedlam Brewery Phoenix and Plateau Pale Ale from the Burning Sky Brewery. It was time to make the fifteen minute walk to Middle Road as the rain began to fall. By the time I’d reached the venue and paid my £5 admission along with a further quid for a programme, the heavens had well and truly opened. I headed to the clubhouse to purchase a cheeseburger, chips and a tea for £6 from the snack bar in the corner. I took a seat in the Main Stand. The back row seating was not the most secure. When a gent sat a few further down I thought we’d all land on the floor. The ground had been added to by the addition of a small seated stand behind the Town End goal, with the far side being out of bounds to spectators. The near side linesman was donning a baseball cap; I wasn’t sure if I’d seen that before? The beautiful lush pitch was ideal for a game in such conditions as the ball fizzed about and players were not shy in sliding into challenges. The visitors from Essex were staying after the game for a night out in Brighton, and were cheered on by a one man ultra. I’d seen in many years previously with his flags. Throughout the game he’d break into chanting on his own. One of non-league’s real characters! Shoreham had made several signings since their end of season drama which eventually led to their promotion to the Isthmian League for the first time. Witham were from the equivalent division in the north of the league, so the teams were well matched. The visitors took the lead on nine minutes as Elliot Ronto sped down the wing before planting a cross on the head of lance Atkins to head home without any pressure or marking. The Musselmen levelled when Alex Laing went on a fine run before pulling the ball back for George Rudwick to slot home. Shoreham took the lead when the pacey Laing was brought down in the box. Referee Steve Hughes pointed to the spot, with Laing scoring despite the best efforts of Town keeper Lewis Moore who nearly stopped the spot kick. Witham ensured that they headed to the changing rooms level at half time after Tommy Robinson put the ball away with style after being set up by Tyler Corlett. I couldn’t complain with four goals and plenty of entertainment during the first period. The rain wasn’t just teaming down at Middle Road. It had also landed at The Oval. I listened to some superb stuff via my Tune Inn App as Simon Mann led a conversation with Michael Vaughan and Micky and Alec Stewart. It was hilarious at times but also very revealing. Micky Stewart told some fantastic stories from his life in the game as the two ‘youngsters’ prompted him and also related their time in the game. It was as good as thirty minutes as I’d heard in ages. The greats no longer around from the previous 60 years of TMS would have loved it. Meanwhile, the teams were back out; at least at Middle Road. The second half didn’t quite live up to the first half billing and became niggly and tetchy at times as players continued to slide into challenges. The whinging of the robust Shoreham centre back was becoming tiring. If he’d have made as few mistakes as the referee, then he’d have had a far better match. I personally thought that Mr Hughes had a decent game. It was notice that the season had truly arrived! James Broadbent in the home net made a fine save to turn a low Jacob Gyebi shot around the post before another fantastic run from my man of the match Laing saw him drag the ball back to the penalty spot, from where Tom Burton made no mistake with just five minutes remaining. At half time I’d had a recce behind the far goal and noted an open gate. Just before full time I made my way round and then on the final whistle I slipped through and headed back to the station through the industrial estate. The 5.17 train arrived on time, with Witham superfan and ultra James Beardwell also boarding. I managed a nod before arriving home for more rest before work. It had been a wonderful few hours away, but those pubs were definitely on my radar for future reference!